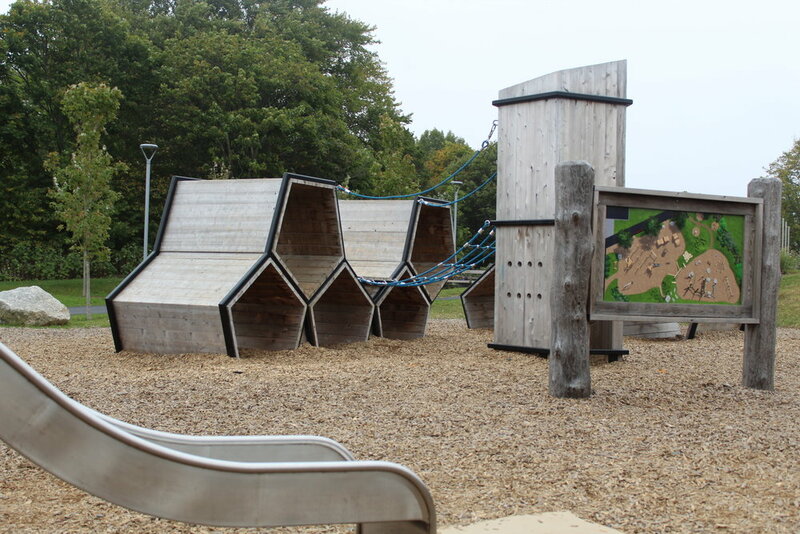 If there was one playground this year that EVERYONE (like I’m talking random people I met on the street, DMs from readers, friends, family) told me to check out it was the new natural playground at Fort Needham. Well, friends, thank you to everyone who kept tagging me in photos and encouraging me to go - it was TOTALLY worth it! This is the second natural playground on the peninsula - the first opened at the Dingle (see here for more on that one) two years ago and was a huge success. Before we go further, if you don’t know what a natural playground is or if it’s even safe, check out this post here . First of all, this playground is huge! I was really impressed with how much space they dedicated to this play area. I can’t even begin to list all of the elements so I snapped loads of pictures here to share with you. I’m assuming it is intended to replicate a fortress (i.e. drawing inspiration from Fort Needham) and saw several elements that reminded me of our military history. For example, above there’s a sort of platform that makes me think of a lookout or fortress. The honeycomb style climbers (which reminded me of gunpowder barracks) and a lookout tower structure to play in really caught my fancy. Not only do they look cute, there is infinite possibility for play - plus how fun would a photo shoot be in those? These criss cross log climbers provide so much challenge to kids of all ages - every time they go they can try more and more on them. They encourage imagination, balance, strategizing, jumping, and so much more! Mixed in with the “choose your own adventure” style of structures are also some traditional elements such as the slide (above), and classic ladders. 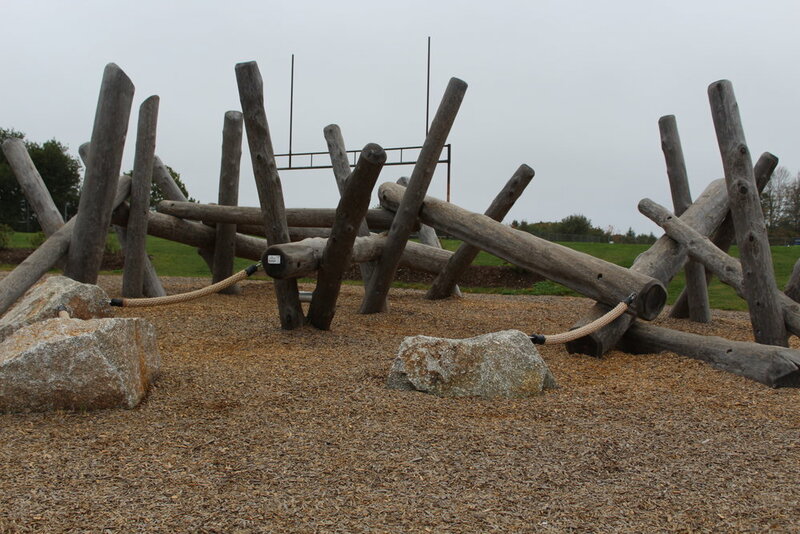 There are also two belt swings and two baby swings as part of this playground, as well as a spider web climber and a Fred Penner style log to crawl through! These little bouncy logs are adorable - and I love that there is no dictation as to what it it supposed to be; it could be a horse, a car, a whale, a dinosaur, whatever suits the current play. Another fun note are the wooden cannons! You can see them above, just to the left of the chalkboard. Ummmm… these colourful stumps were also on the playground but I was completely “stumped” as to what they might be used for. Weaving around them? Standing on them? Anyone? 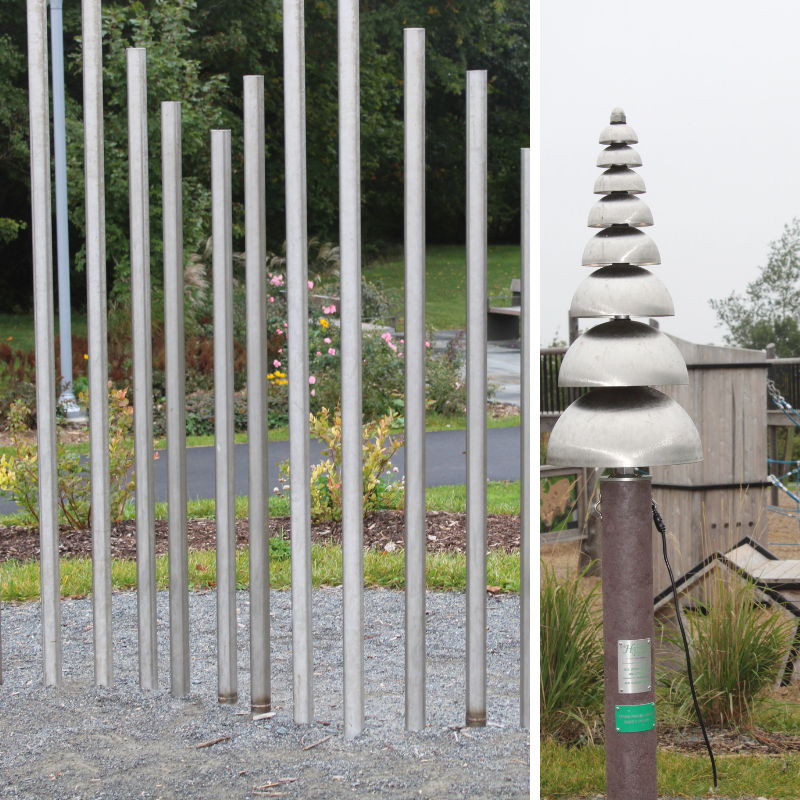 There are also a few musical elements that children can use sticks or rocks to clang against and create tunes for the other playground-goers. 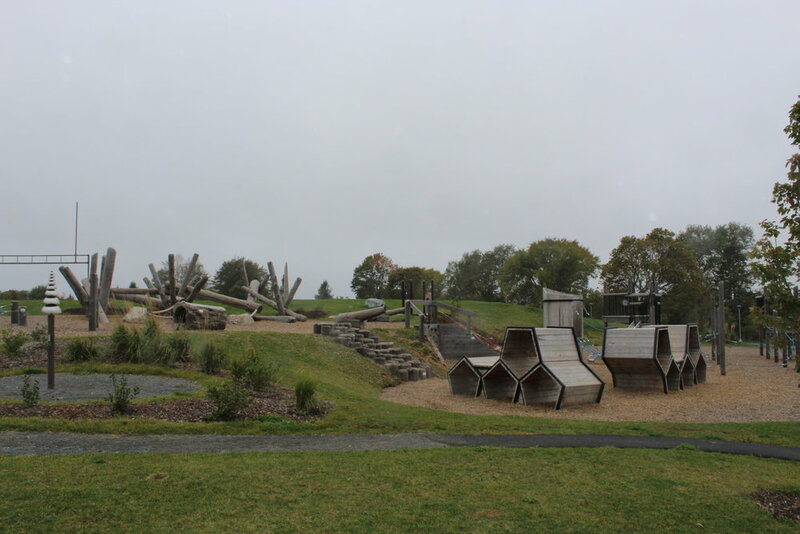 The Fort Needham Natural Playground is located in Fort Needham in the north end of Halifax. I parked behind the recreation centre on Union Street where there is a small lot with about ten spots. Then you take a paved path up a hill, or climb the stairs, and from there it’s a little bit of a walk to the other end of the park where the playground is located. I would suggest parking on Novalea Drive (or streets nearby) closer to the Hyrdrostone end and walking up the path there. A third option, if you need a handicapped parking spot, is a small parking lot at opposite end of Union Street (closer to the Hyrdostone) where it’s reserved solely for handicapped parking. Many climbing options including rock walls, ladders, spider web ropes, honeycomb blocks, etc. No fence between playground and the road, but it's set up on a hill a good distance from any roads. Surrounded by grassy fields and asphalt walkways.